One of the biggest problems with commuting to work or living in a big city is the transition from work clothes to evening wear. The latest Vogue British cover is fall perfection. 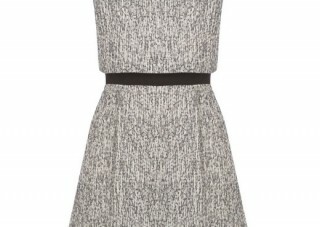 The feminine print and sleek pencil silhouette strikes a perfect balance that will easily transition from “desk to out”. Is your company throwing a posh work party for an upcoming holiday or a special celebration? 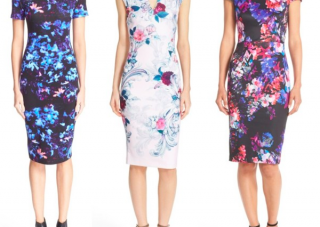 Right now I’m all about flowers and anything floral. 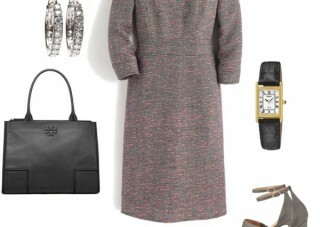 It’s not easy to find stylish, polished tweed dresses especially at an affordable price. The red dress and the accessories are straight forward but together they create this effortless, stylish look.